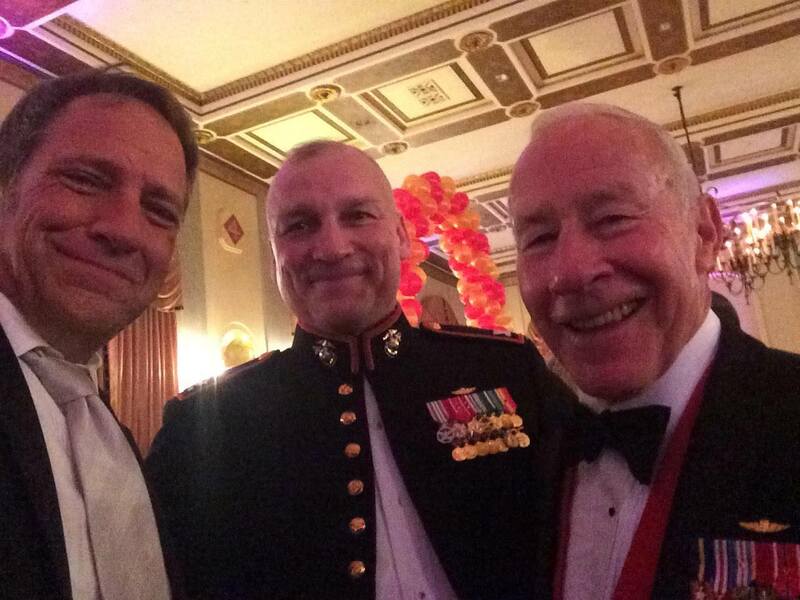 The Marines turned 240 on 10 November, and once again, I had the honor of wishing them a Happy Birthday in person. 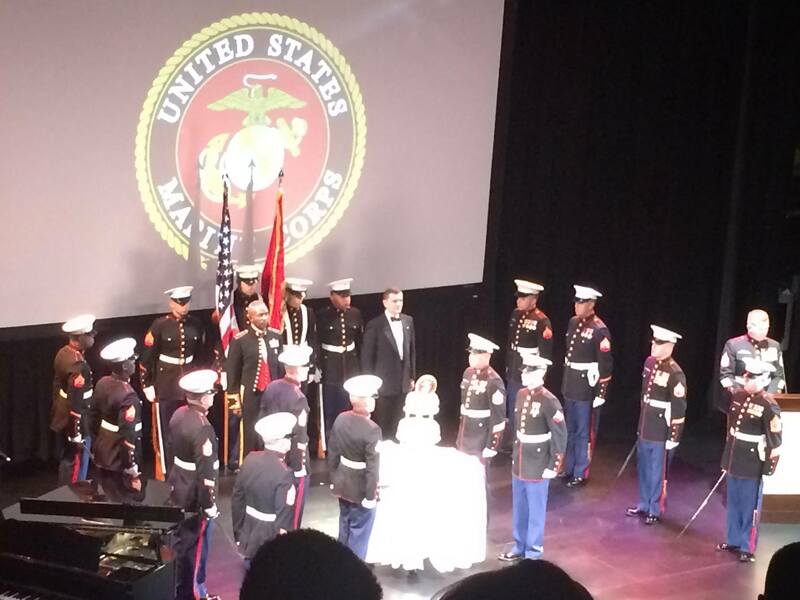 The is the eighth year I’ve attended the ceremony at The Marines Theater in San Francisco, and once again, I was surprised by how moving the event was. Surprised because no matter how many times I sit through the exact same ceremony, it still gets me. The sound of bagpipes fills the theater. Uniformed men with drawn swords march as one. The Color Guard appears on stage, as bugles sound the various calls. The General addresses the crowd. People weep. Amazing musicians sing beautiful arrangements of patriotic songs. People weep some more. The Fallen Comrade Table is explained, along with the significance of every item on it. More tears. 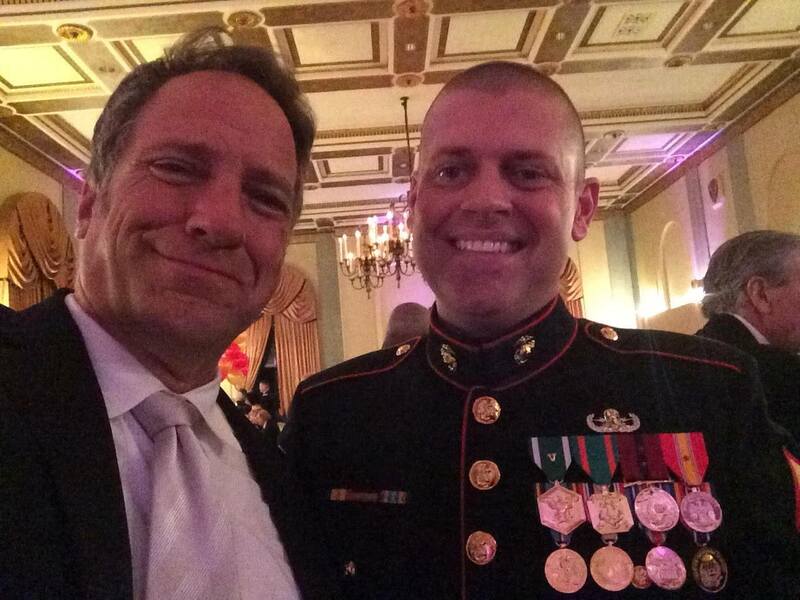 We all stand and sing The Marine Corps Hymn and The Star Spangled Banner. Champagne is poured, as several hundred people wait for the slowest elevators in the world to bring us ten stories skyward, where a surprisingly good dinner is served. The main course is steak. There are no options. While the ceremony itself is subdued, the dinner is not. The band gets wound up around dessert, and the open bar is…well, wide open. But what gets me the most every year, is the chance to be a fly on the wall. A chance to listen to these guys catch up, and reminisce about their time together in Fallujah or Kabul or Baghdad or Kuwait. Their stories continue to redefine my understanding of bravery and honor. They talk of comrades who didn’t make it back, and sacrifices that most of us will never begin to comprehend. And they do so such modesty and humility. It’s a remarkable thing to witness, and a privilege to be in their company. Every year, during this week of Lincoln-mandated gratitude, I try to thank a few people who’ve impacted my life. 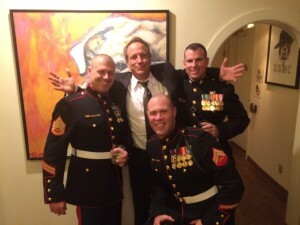 This year, I’m thanking the Marines. They’ve had my back for 53 years, and the country’s for 240. That deserves something more than a Happy Birthday, or even a Happy Thanksgiving. So let’s go with Semper Fi, and many Happy Returns.